Budget airline easyJet has published a press ad positioning itself as low-risk in the face of a potential wave of fresh airline strikes. The ad, which appears across numerous newspapers today, shows a picture of four calendar pages displaying the months of February, March, April and May, with the words half term, Easter, Royal Wedding and bank holidays marked clearly on them. The ad ends with the line "Why risk BA? Make a date with us". Two weeks ago British Airways cabin crew voted to strike again in a dispute related to proposed job and pay cuts. The Unite union said more than three quarters of people backed strike action. A spokesperson for BA, in response to the easyJet campaign, said: "Should any industrial action take place, we are confident that our well-established contingency plans will allow us to operate normal timetables at Gatwick and London City airports. "At Heathrow, we will aim to run a substantial proportion of our short-haul programme and 100% of our long haul operation." 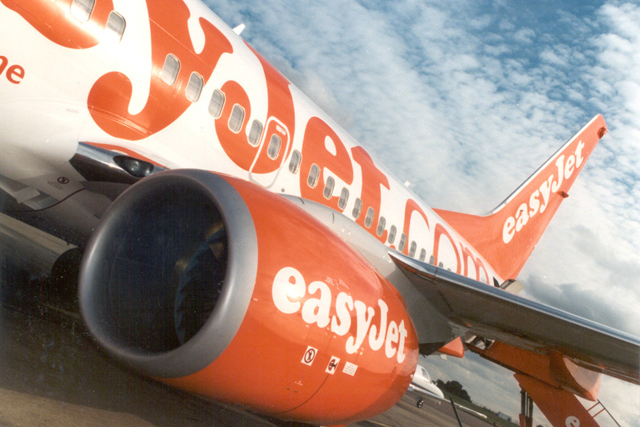 Earlier this month, easyJet said it was reviewing its £20m pan-European advertising account, as it repositions itself and moves its marketing beyond price wars with rivals.